One of our KaiNexus customers suggested that we share audio from our webinar series as podcasts. We've done that! And we're also adding content from our KaiNexus blog, read as audio book-style podcasts. To view webinar recordings (audio and slides) or to see and download slides, visit http://www.kainexus.com/webinars and then click on the webinar library. To read content from our blog, visit http://blog.kainexus.com. 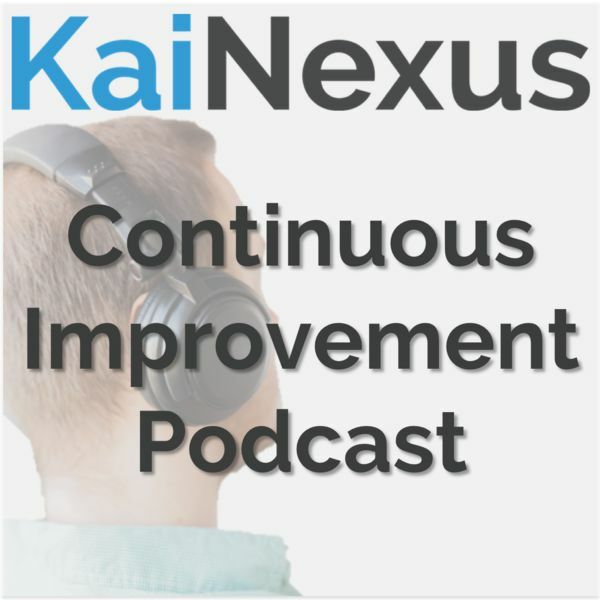 Our webinars feature KaiNexus leaders, such as Dr. Greg Jacobson and Mark Graban, along with noted authors and our customers, talking about continuous improvement, leadership, and operational excellence. Kaizen and Lean are also featured topics. KaiNexus is a software company that is focused on helping spread continuous improvement throughout organizations. Hosted by Mark Graban of KaiNexus, presented by Tania Lyon from St. Clair Hospital. Dr. Lyon has spent the last 7 years leading St. Clair Hospital, a large award-winning community hospital in Pittsburgh, PA, through a “lean” transformation as their first Director of Organizational Performance Improvement. She has trained over 1600 hospital employees in Toyota principles and methods. Her own background in Lean healthcare comes from 5 years with the nonprofit Pittsburgh Regional Health Initiative (PRHI) where she helped to develop their nationally acclaimed curriculum for health care professionals and coached lean improvement efforts in a variety of healthcare settings. Dr. Lyon is also interested in Lean Healthcare applications for low resource settings like hospitals in Malawi and Haiti. She earned her PhD in Sociology from Princeton University and her BA in Peace and Conflict Studies from U.C. Berkeley and has two charming daughters who have thus far resisted all efforts to apply the Toyota Way to their rooms. Maggie Millard - What would you say you do here? Jeff Roussel - What would you say you do here? Lisa Hanna - What would you say you do here? Matt Banna - What would you say you do here? Cailyn Lewis - What would you say you do here? Clint Corley - What would you say you do here?